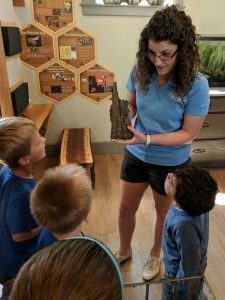 All young explorers ages 2-5 are invited to discover nature with our Naturalist Erika. Each class will focus on seasonal nature themes, such as seeds, habitats, ponds, animal sounds, and much more. Little Explorers aims to increase appreciation for science and the outdoors while developing skills in observation, classification, counting and investigation. This is a great opportunity to expose your child and yourself to some of the amazing places at Endicott Park. Children must be accompanied by an adult. Meet at the Nature Center. Class takes place rain or shine. Please wear appropriate clothing and footwear.